On Memorial Day the tide along our Seattle beaches was very low, so Iris and I set out on an adventure to do some exploring! 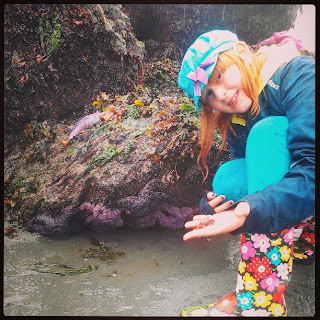 There is so much to find at low tide. 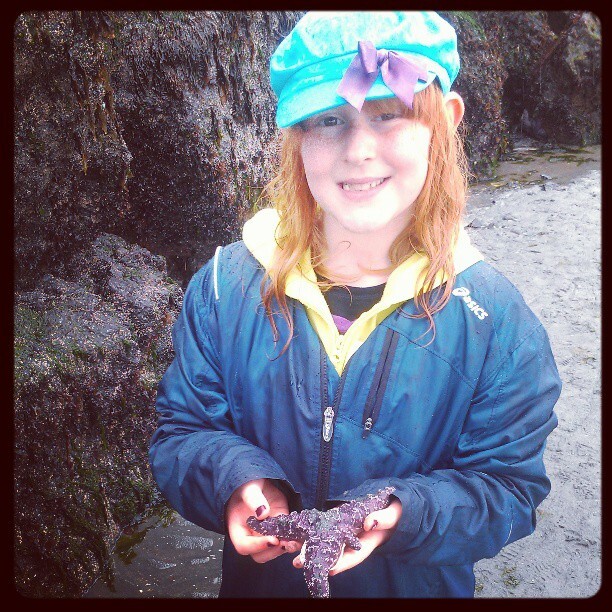 Sea stars, sea cucumbers, moon snails, herons, urchins, anemones, crabs, clams . . . . it's a lot of fun. The day was rainy and overcast, so the beaches weren't overly full of people. The purple sea stars covered the rocks, they were amazing! We also found a lot of tiny crabs. The beach we went to is called Constellation Park in West Seattle. 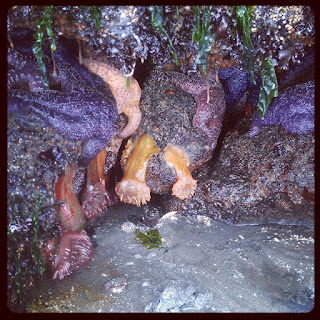 We like this beach for low tide because there is a huge rock wall on it, and that is where a lot of critters like to hang out. 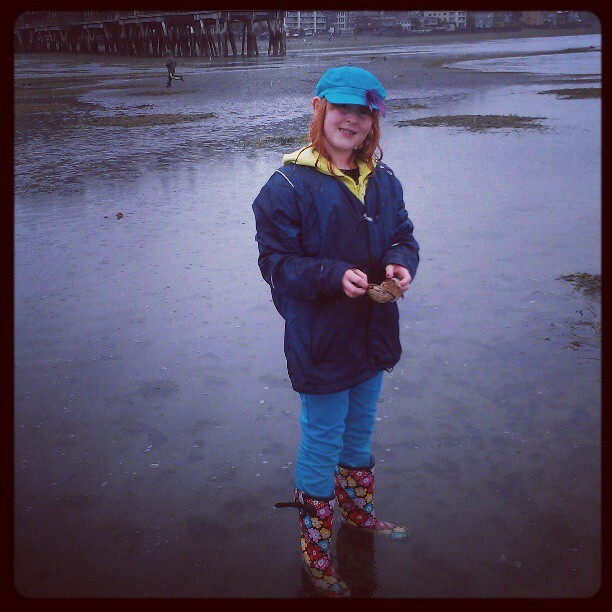 There are several other great beaches in Seattle for low tide exploration, too. Lincoln Park in West Seattle is another great one. On very low tide days the Seattle Aquarium sends Beach Naturalists out to certain beaches to answer questions and show people around. They are a great source of information!